Shadow Minispurr for Sneakiness Reporting In !! This Paw will assist me to stamp out cruelty to anipals! 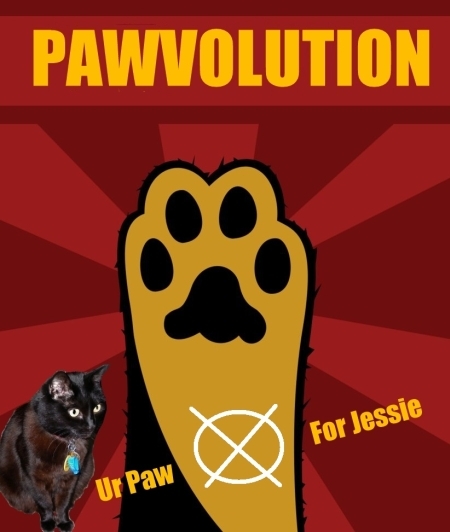 G’day, I thought it was about time I reminded you that, on 7th September, 2013, I am standing for the federal government seat of Goldstein, Victoria, Australia as a proud Member of the Feline Pawty where I hold the position of Shadow Minispurr for Sneakiness. The Feline Pawty’s Shawdow Prime Minister is the very able Mr Bumpy Cat – Please see here for our Campaign Central and also How To Be A Candidate. The Poster says it all !! My hoodies have helped me cover the electorate with eco-friendly posters produced by my overworked, underfed and sleep deprived Media Liaison Officer, @JanisFelidae. Janis – I promise come 8th September you will be suitably recompensed!